Home Releaf Events COOKING 4 CHANGE! 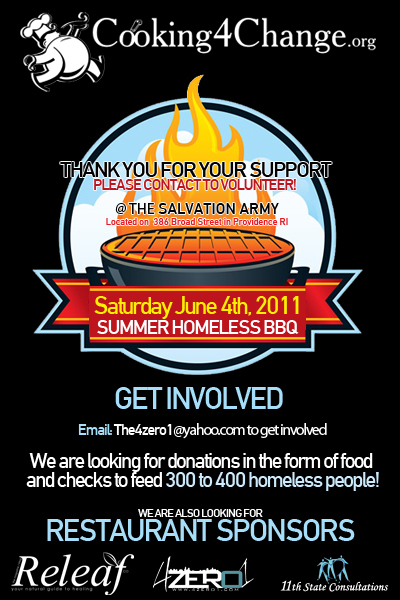 HELP TO FEED THE HOMELESS! Previous articleThanks, but you are late Barry! Next articleCash will always be king. Get together people help the needy!